Televisa and Azteca operate a number of unofficial TV stations which are not on the government list of licensed TV stations. I have IDed several of the Televisa and Azteca unofficial stations, and Ed Phelps has IDed one of the Azteca unofficial stations. The list on this page contains the unofficial stations that I am aware of being on the air. The two graphics below are used to show examples of unofficial stations. My list of unofficial stations follows the two graphics. 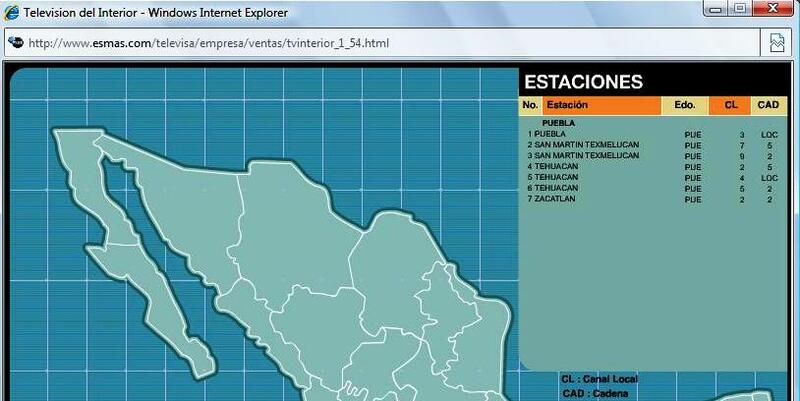 The first graphic below is the Guanajuato page from Televisa's transmitter list. 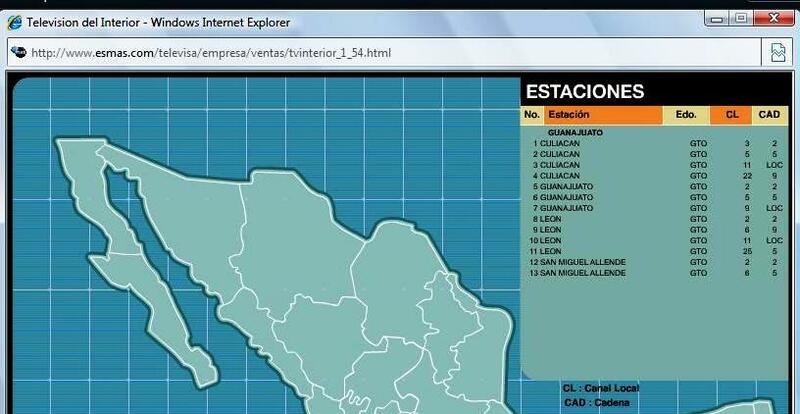 Note that two unofficial stations (which are not on the government list) are on the Televisa list: XEZ-3 Culiacan and XEZ-2 San Miguel de Allende. I have IDed both of these stations by local text IDs. The second graphic below is the Puebla page from Televisa's list. Note the unofficial channels 2 and 5 in Tehuacan, which have both been IDed by me. Unfortunately, the Televisa list is from 2001, so there may be new unofficial Televisa transmitters. Furthermore, I have not been able to find an accurate list of Azteca transmitters. Thanks to Ed Phelps for XHKYU-3 information.